Uplift your study or office with a beautiful wall clock! It only requires one special piece to make a statement. 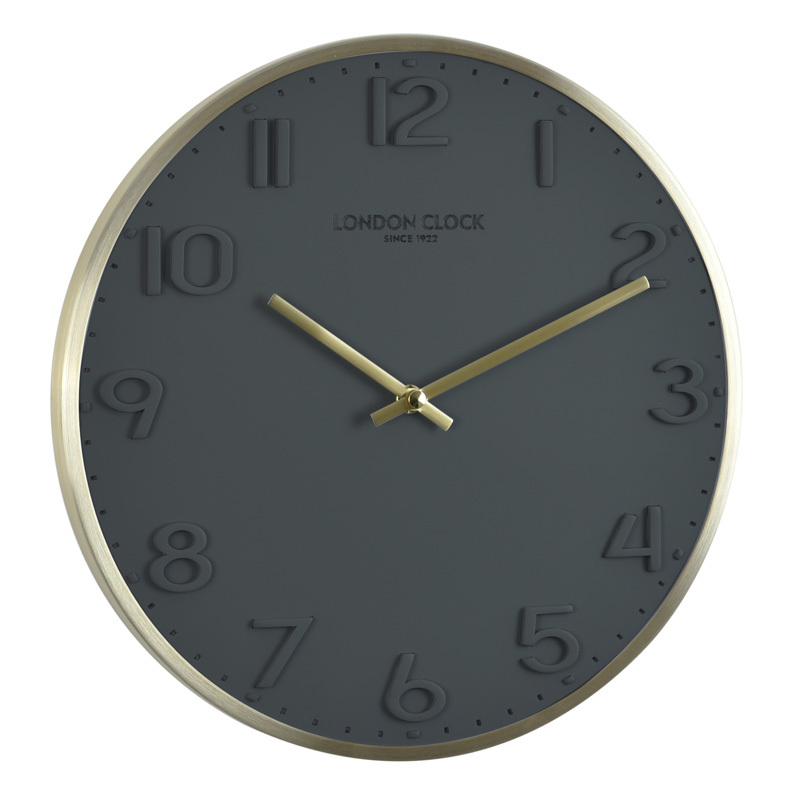 This clock is crafted from resin and features a dark grey face enclosed in a metal frame finished in a stunning brushed gold. The hour numbers are grey-on-grey in a raised design that creates a modern three-dimensional look. The hands match the case in gold for a perfect balance. A great gift for Dad's new office. Size 30cm diameter, 3cm depth.